Harald Hexamer forms its mineral and ribbed groves in Meddersheim, scenic village in the German region of Nahe. The winery has 18 hectares of vineyards with a gravel base with high quartz content or a porphyry granite subsoil. The result are mineral, distinctive and slim wines with a refreshing acidity and mineral structure that predisposes them to long aging. Elegant dry riesling features brisk acid, harder minerality and a characteristic long finish. The wine excels well with trout or siven on butter, with jerry, pâté and cold pork side. 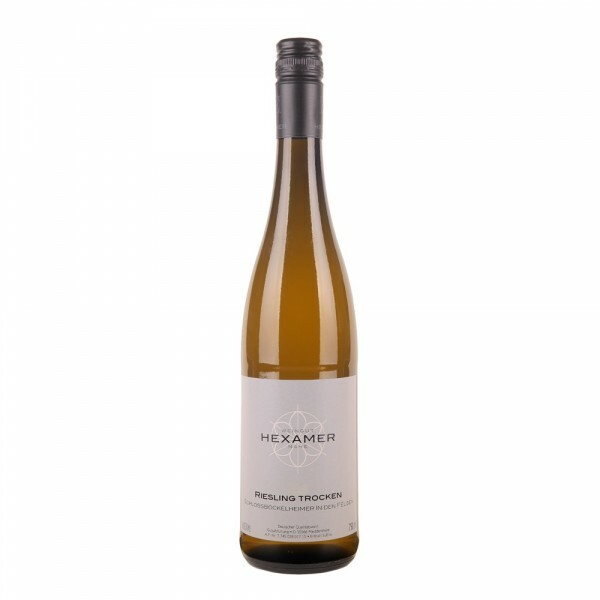 Elegant dry Riesling features brisk acid, harder minerality and a characteristic long finish.